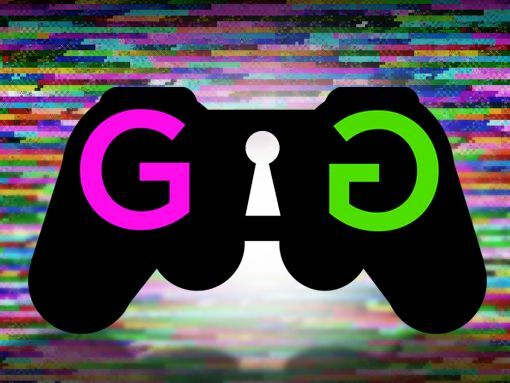 Her Guardian article on Zoe Quinn is considered to be part of the “Gamers are dead” media blitz, despite having been published a few days after the main blitz. Hit piece about Zoe Quinn’s harassment, without disclosing she was supporting Quinn and her agent Maya Kramer on Patreon. 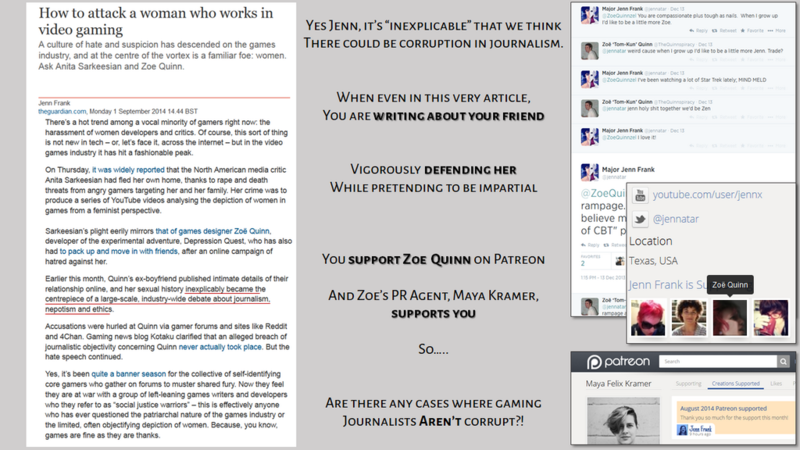 Disclosure was added four days after the original article, claiming the Guardian had removed it from Frank's original draft against her will, but only describing Frank as "having purchased Quinn's work", without mentioning she had also paid for Quinn’s hotel room at GDC 2014 to the tune of one thousand dollars. Wrote about Super Hexagon without disclosing that she was the game's voice actress. Gameranx EiC Ian Miles Cheong promptly added disclosure after this was discovered. 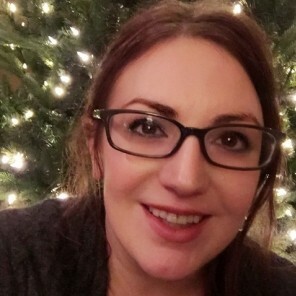 Stated that her contested financial support of Zoe Quinn consisted of just 15 dollars donated on Patreon, omitting the about 1,000 $ she spent for Quinn’s hotel room at GDC 2014. 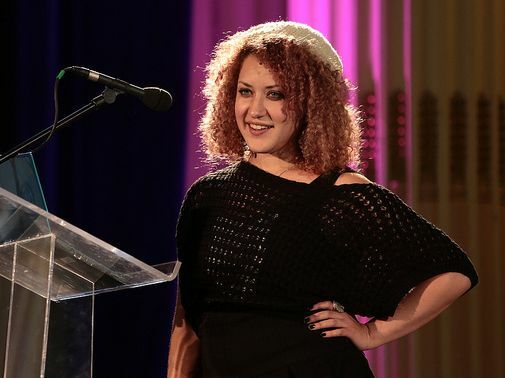 Following the famous blog post by the Rotting Cartridge about IGF judges not playing the games they were assigned, she, a former judge, wrote a response, where she admitted to not playing games herself and still called herself a good judge, with parts of her scathing response going into veiled threats. On the receiving end of positive coverage from Brendan Keogh, who did not disclose their working relationship, as well as Critical Distance, which she was supporting financially, and possibly Patrick Klepek, who was financially supporting her. Censorship and Dishonesty emblems may be based on subjective criteria.